Back in 2015, to celebrate our first year, we have published one printed edition. Issue no. 5 is the only publication that cannot be found online. It was printed in a very limited number of copies. You can say that these are now rare collectable publications as there was about 200 copies in circulation. We still have few left in stock if you are interested. 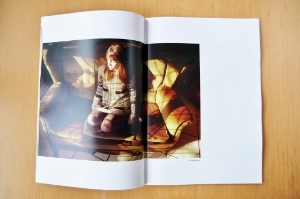 High quality gloss A4 size paper, with over 100 pages dedicated analogue photography. This special edition features six different photographers presenting their analogue photography portfolio. We also have the last interview with the owners of Camera Exchange - a Dublin based camera shop that closed after many years in business. Also in this issue; four photographers sharing their thoughts on the future of traditional film photography. and we will arrange everything for you. Please see below for delivery / cancellation and refund T&C. Please note that all buyers are responsible to cover any duty charges. SPECIAL LIMITED PRINTED EDITION !! If for some reason you decide to cancel your order. Please let us know as soon as possible. All cancellation requests should be sent to info@thefix-magazine.com. If you cancel you order before we ship the magazine to you, you will receive the full refund . This is just to be fair to other readers who would like to get the magazine too and to give them a fair chance to buy it. It is a limited edition afterall. If you cancel you order after the order was shipped, the refund rules will apply. If, for some reason you are not happy with your order or would like to return the magazine to us, please email us first at: info@thefix-magazine.com. To get a full refund you will need to return the magazine to us in perfect condition. Postage fees apply. In a very unlikely event of receiving a copy that has been damaged in transit, please take photos of the packaging and the magazine itself, showing the damages that occurred, and email it to us: info@thefix-magazine.com.